Please contact me at jskohler@sbcglobal.net to purchase any of the works on my website, or to order giclee prints. 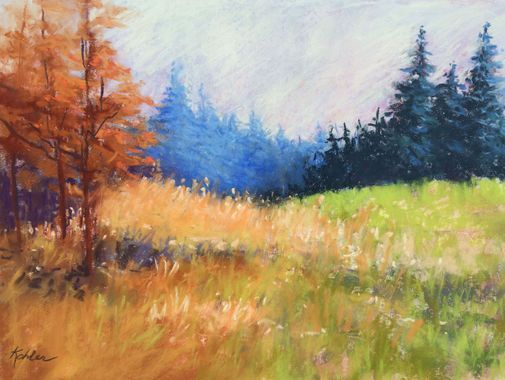 You can also commission me to create a beautiful pastel from your property. Purchasing works via paypal on this site is easy, just click "more" and then "web store". Thank you so much, I would love to add you to my growing list of collectors! Please check back often as I continually update with new work and events. My pastel "Peony Garden" was selected for the May Ann Arbor Observer cover art.The original sold to a New Jersey collector from my website just before this cover was published, Giclee prints only available.